Discussion in 'General Discussion' started by Ryan, Dec 3, 2016. Oh i had no idea you were already creating reasons for people to look upwards. Good stuff! Wow that looks fantastic! Can't wait to go exploring in those! Lol @Turbatus , we'd never wish such things....but I mean, if you don't go outside for a month, is that really the worst thing? heh, well it's just a pretty little cave for now, I still need to figure out what interesting activities we want to do in there. Any suggestions I would love to hear. Any suggestions I would love to hear. With the stamina and health systems getting used soon, it would be a good opportunity to expand the selection and processing options of food. Caves are perfect for fungi to grow so there's our first thing to do/acquire in the cave, mushrooms. I imagine it would also be great place to catch all sorts of bugs and crawlers which could be used as fish bait at some point. 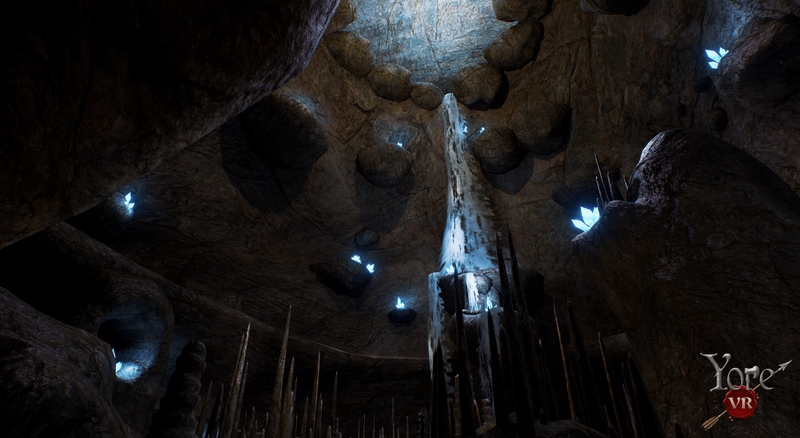 If there is a pond in the cave it would be great being able to fish in it to renew the explorers stamina/health. Maybe have rich or veins in caves or a higher tier of ore which creates new and better weaponry and tools. I think being able to make use of those glowing crystals would be a good start. 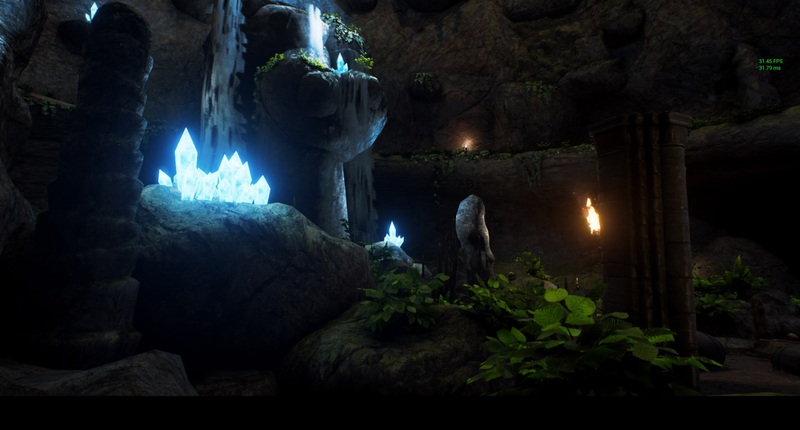 Players can craft a lantern in town, get a crystal in the cave and put it inside the lantern to have a light source. 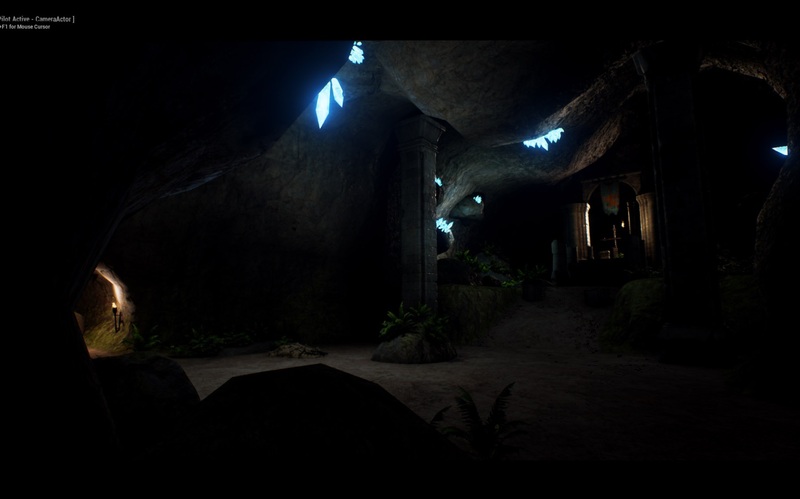 Also, how about letting players create base camps in a cave from where they can explore, recover/respawn and keep loot stored temporarily until it is moved to the town. I'm imagining a tent or 2 with field beds in them, a camp fire, improvised cooking rack or a kettle, a couple crates. There is indeed a pond in the cave, or will be in the final version, right now it's more of a large puddle. That idea about grabbing worms and bugs for bait is amazing, I am so excited to get that in there now. First we'll need fishing but yea after that the creepy crawlies are coming! Caves will certainly be a place for rare metals, likely gold and silver will only be able to be found in cave systems. In terms of mobile spawn points, that's a staple of the survival genre so it will definitely be coming in 2017 for sure. We just got dying in so that's something! We just got dying in so that's something! That's always something to look forward to! 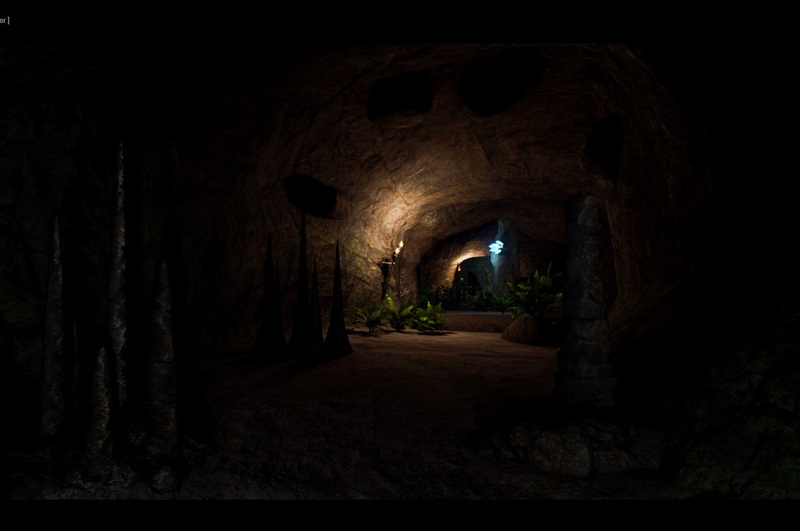 (2) There is a particular stalagmite in the hallway on the way down the cave that is super curved like a tooth. This curve wouldn't naturally happen and for some reason it bothered both of us right away. (3) Could the hole in the stone wall showing the waterfall through it be a bit bigger, maybe with a fern or mushrooms near it or something? It's one of the prettiest things on the way down that hallway and I was wishing for a bigger view. Also on a farther-out note, I second the idea about gathering mushrooms and making basic base camps.